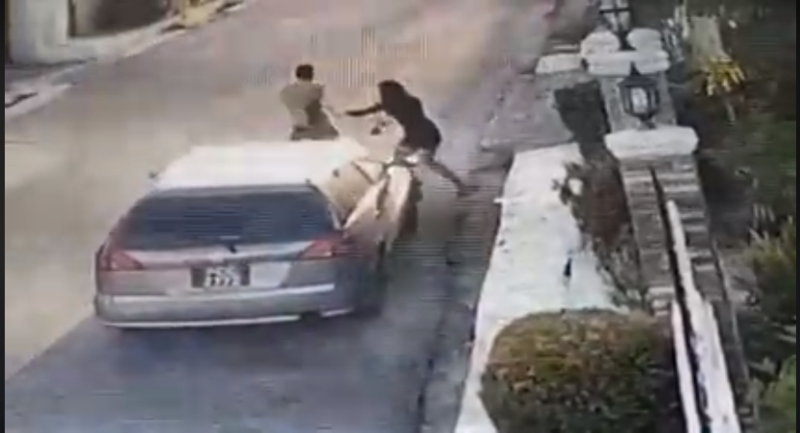 In a trending video footage which was posted online, the robber can be seen approaching the lady on the road before grabbing her handbag. The “stubborn” lady dragged her bag with the thief and refused to let go despite the blows and slaps she received. She was even pushed to the ground but yet, she refused to let the robber win. The thief finally left the woman with her handbag after much frustration. This incident happened yesterday in Tunapuna, Trinidad and Tobago.